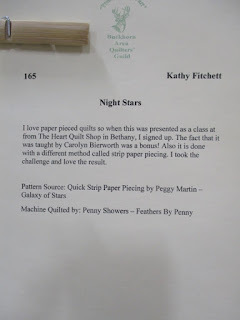 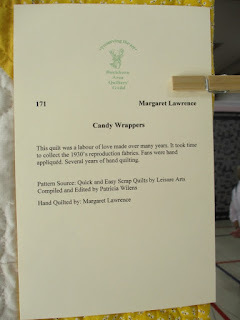 Not exactly fall but it is the first quilt show of the season that I have attended. 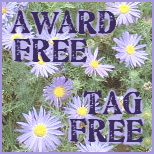 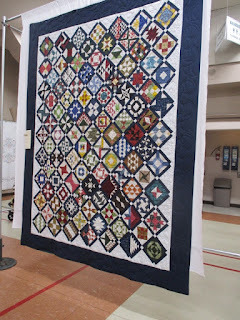 Click on the photos to make them bigger for viewing. 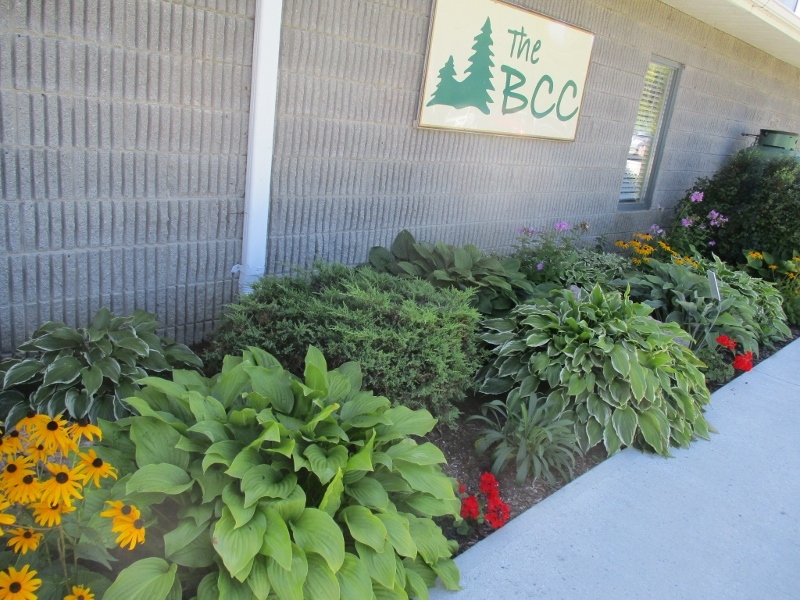 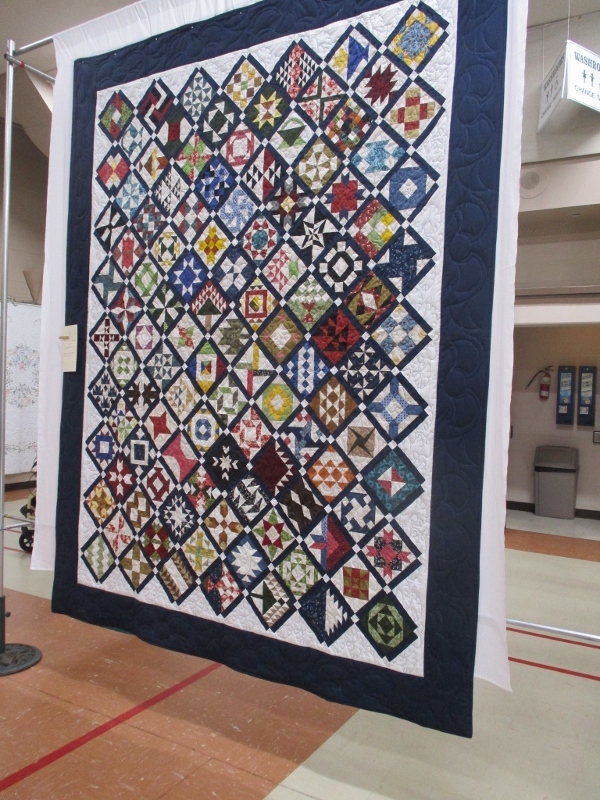 The Buckhorn Area Quilters' Guild Show was in a great venue, the Buckhorn Community Centre, where the lighting was excellent. 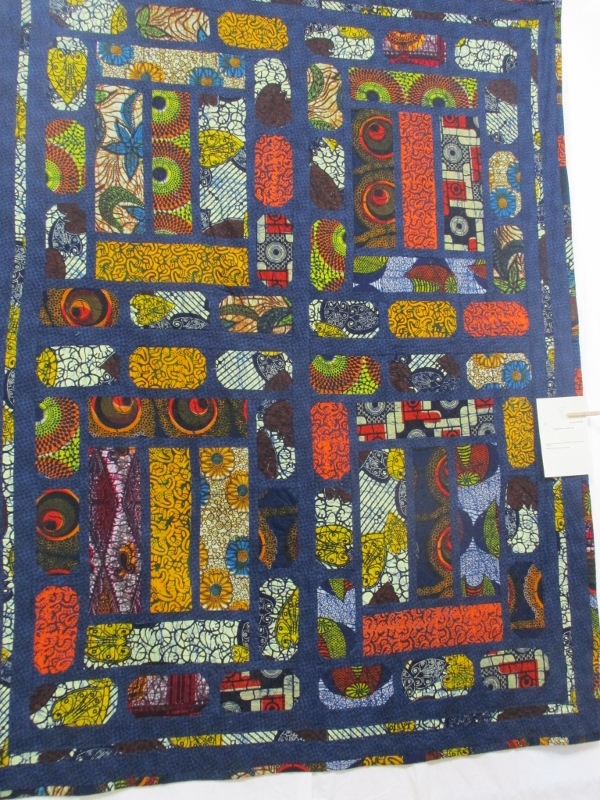 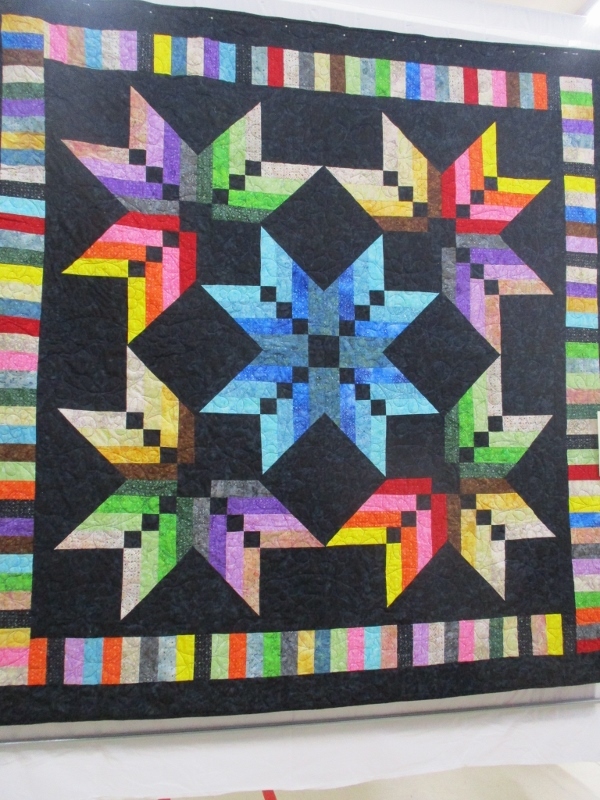 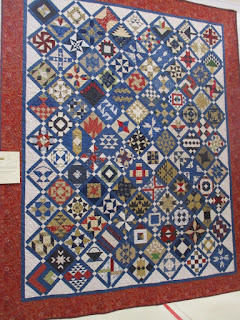 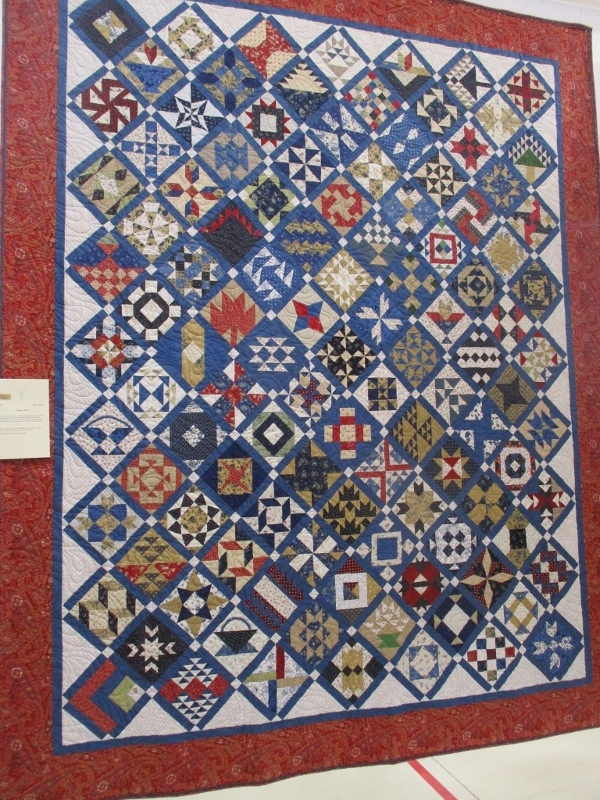 There was wonderful colour and a great mix of modern and traditional patterns with both hand quilted and machine quilted quilts. 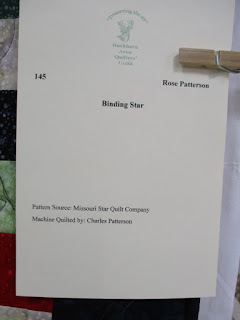 I thoroughly enjoyed walking around taking photos (I always ask if photos are allowed) and at least two volunteers asked how I was enjoying the show. 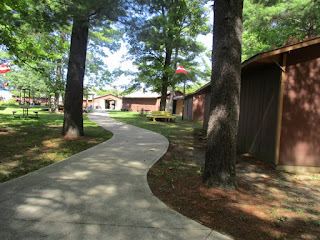 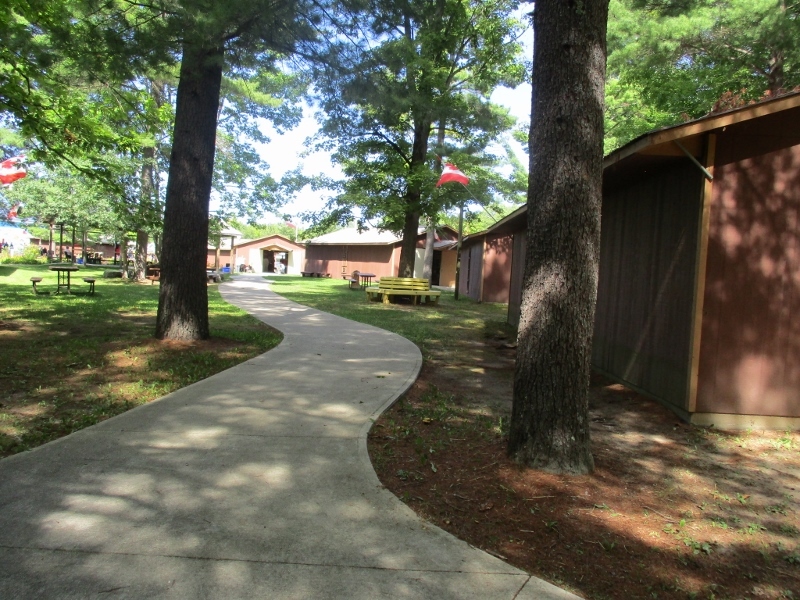 This was part of the grounds behind the main building. 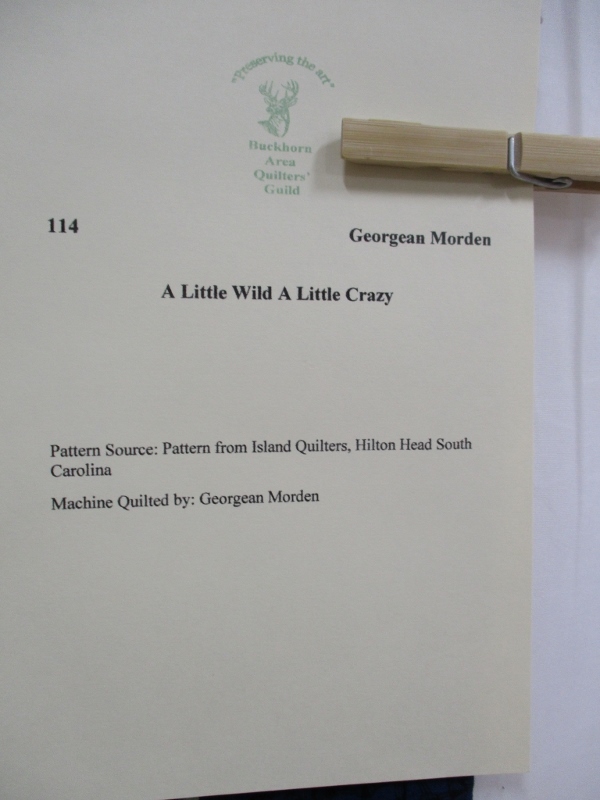 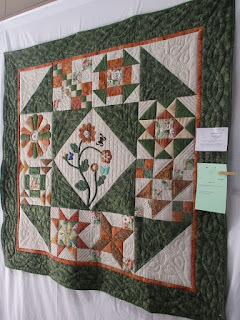 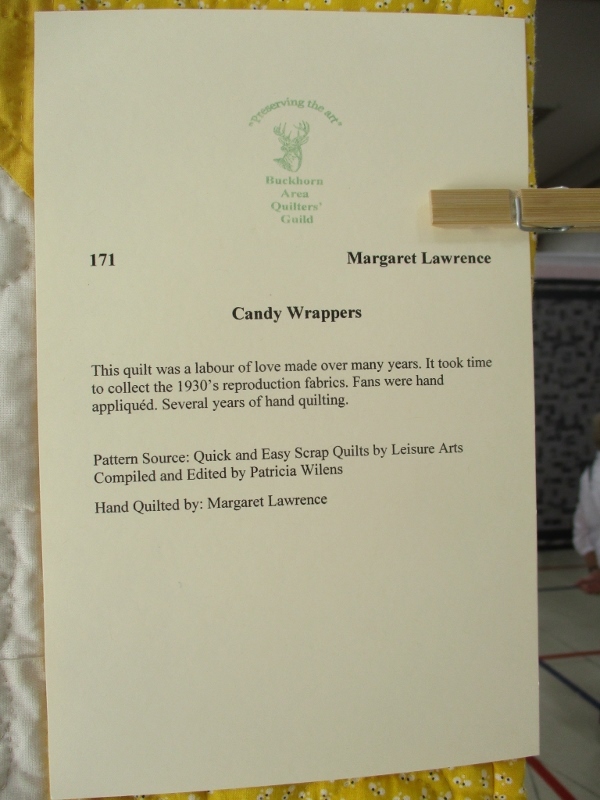 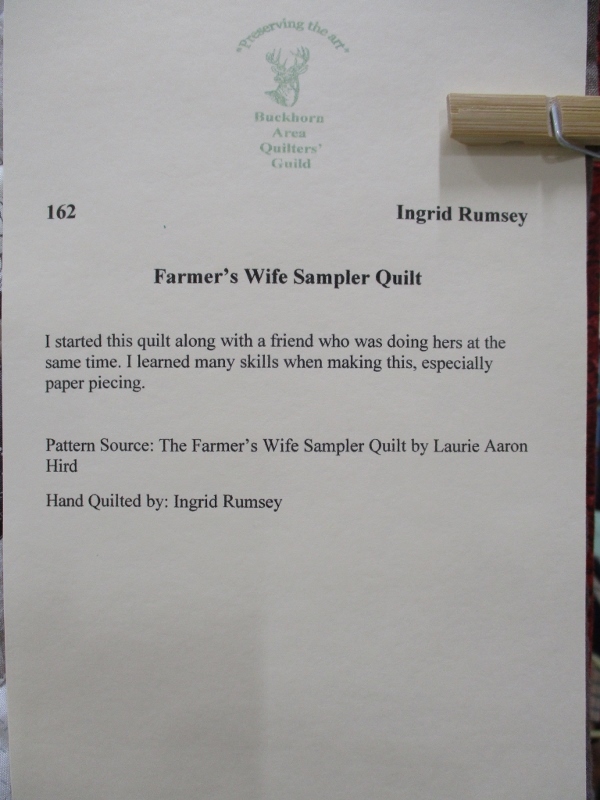 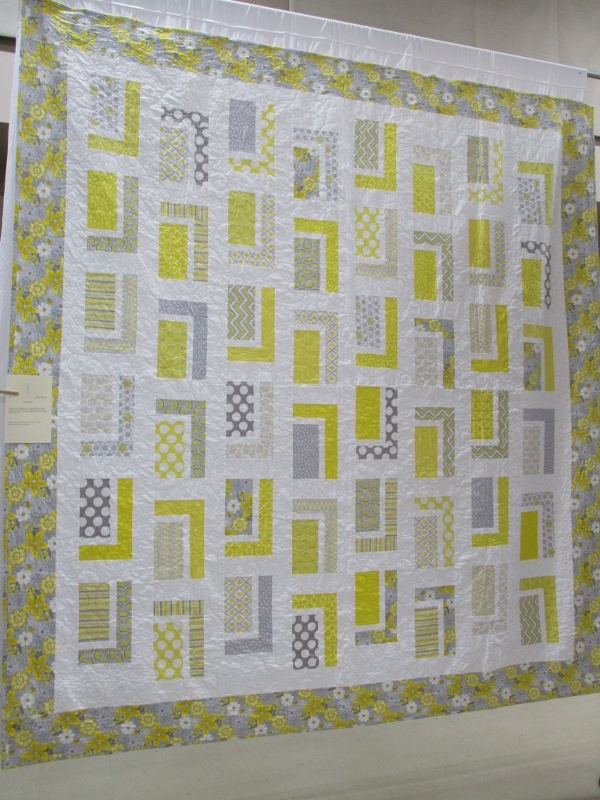 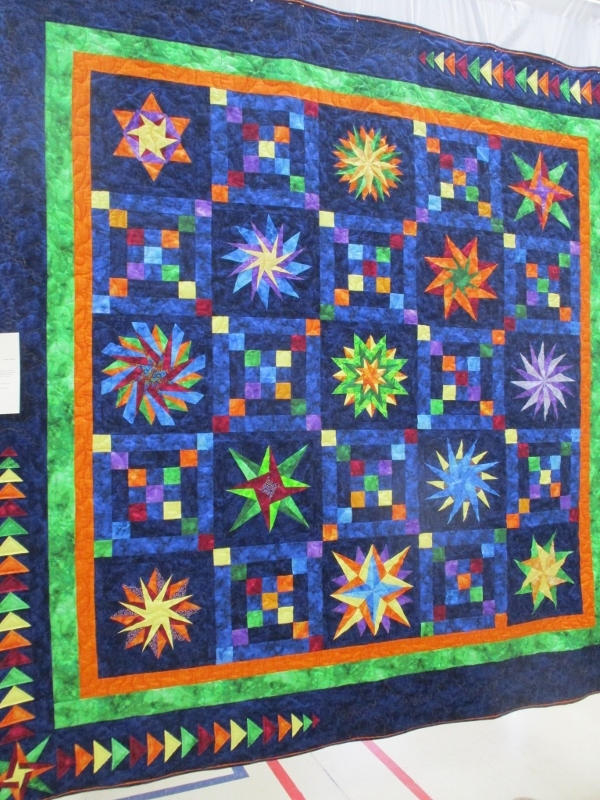 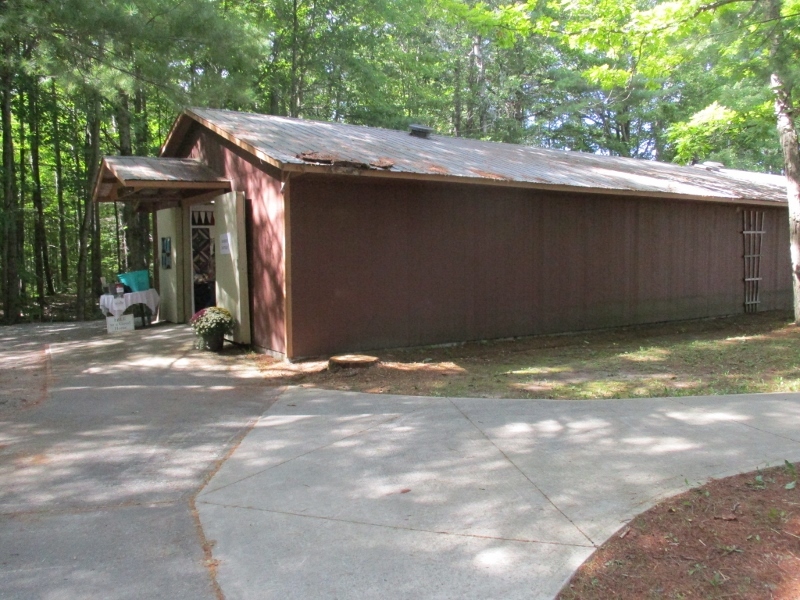 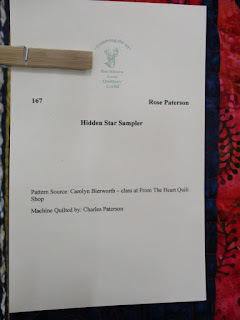 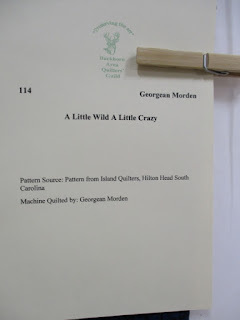 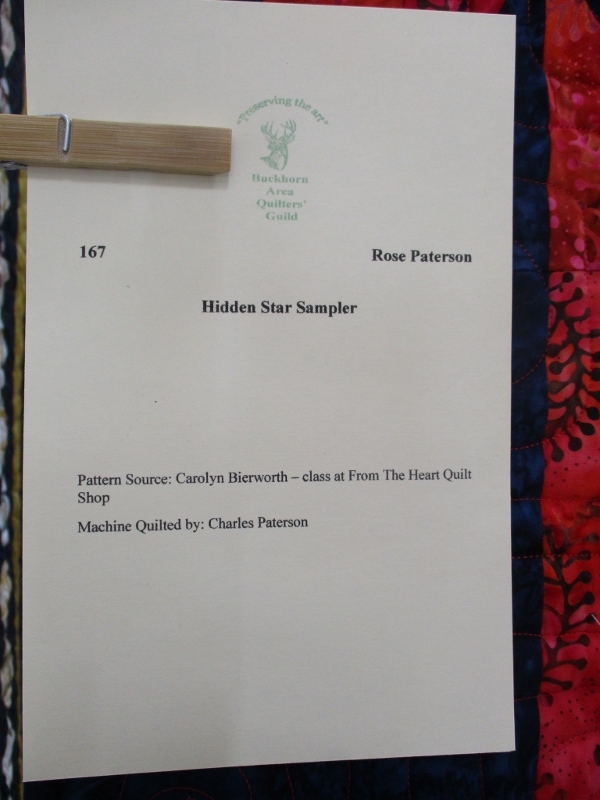 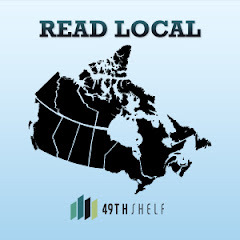 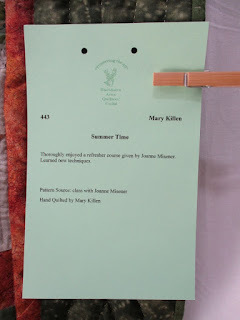 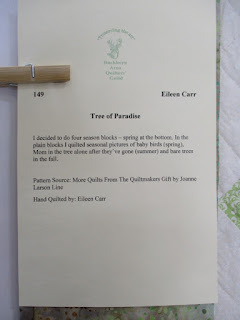 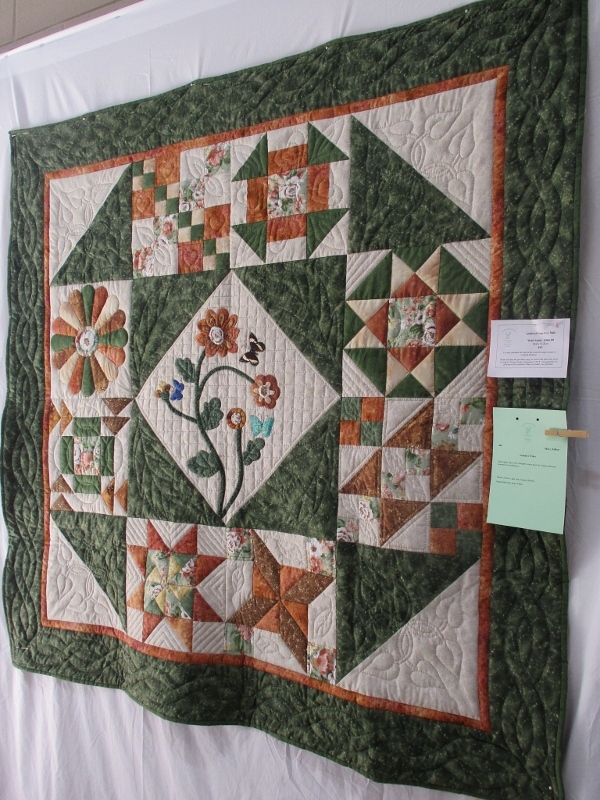 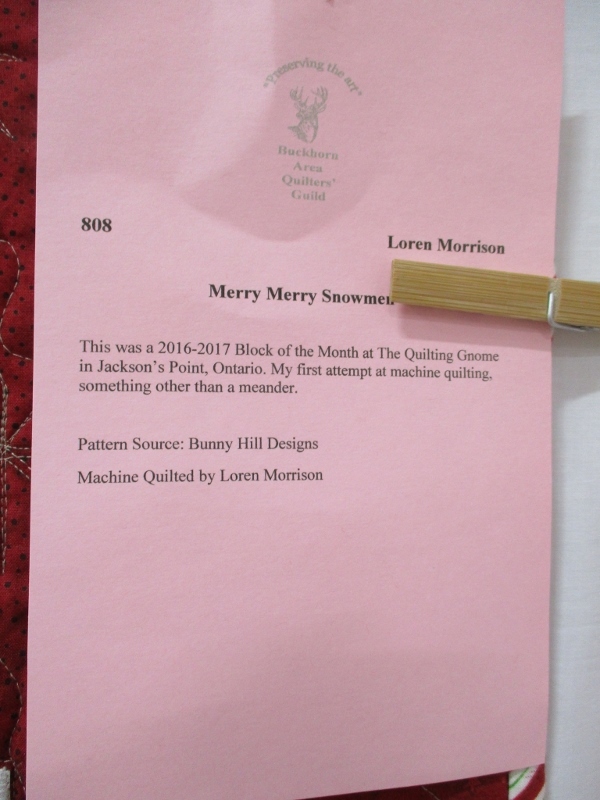 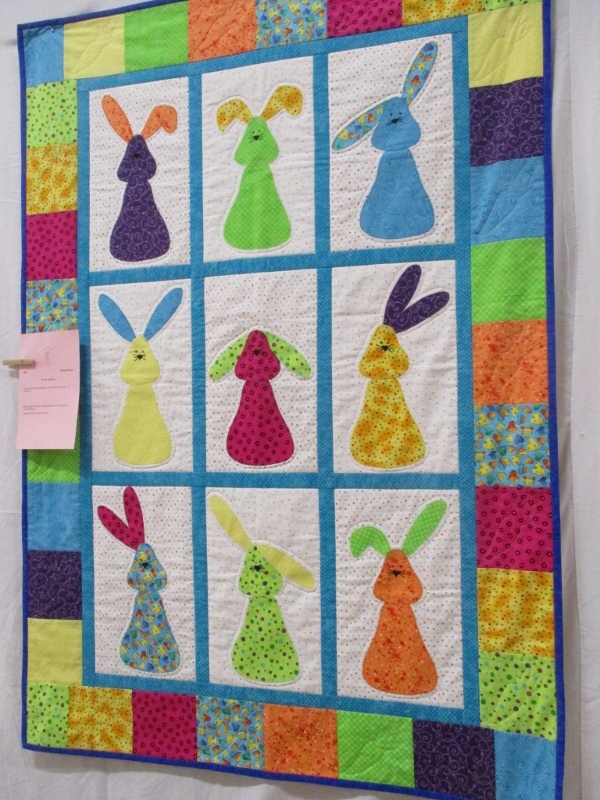 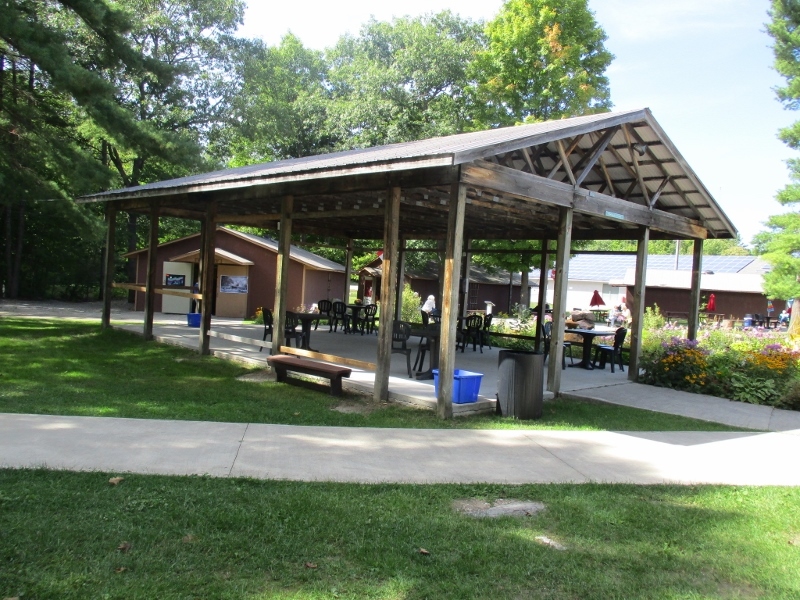 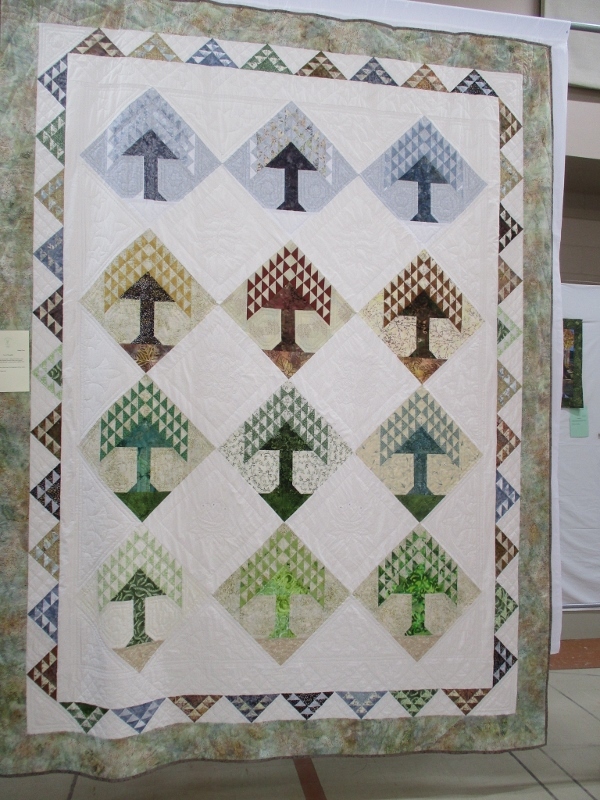 There were so many quilts that some were hung in an outbuilding and several of the other outbuildings were taken over by the vendors, the featured quilter (Paul Leger), the tearoom and the guild's own members' boutique. 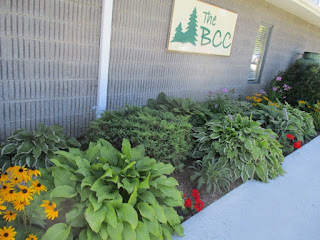 The day was sunny and the temperature, to me, not too cool and not too hot. 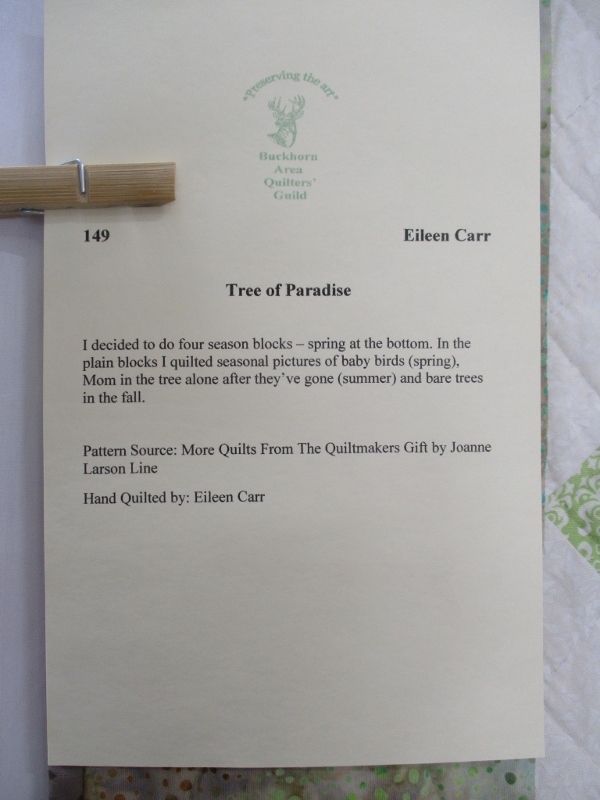 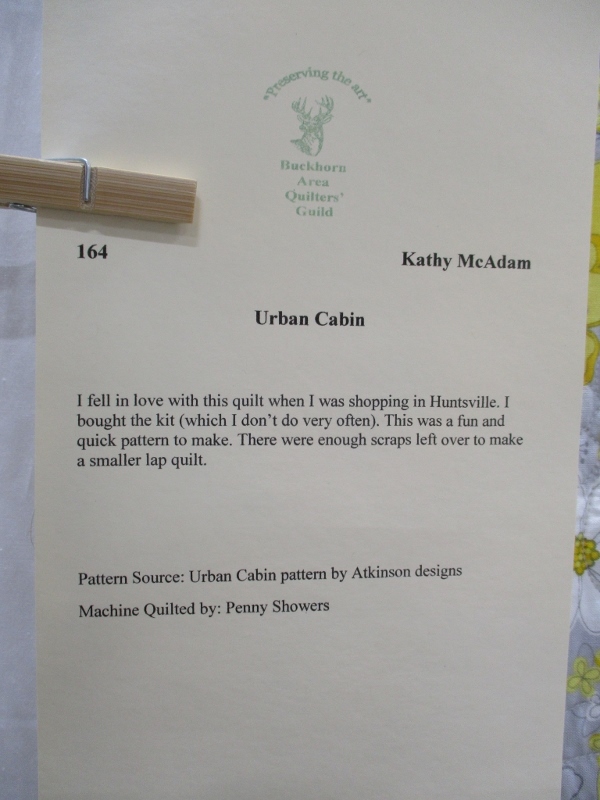 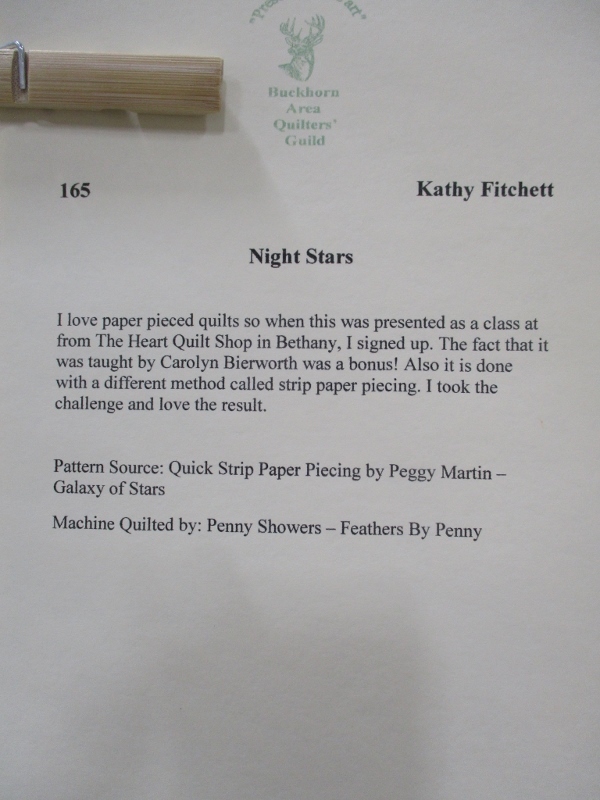 I hope you enjoy the quilts as much as I did. 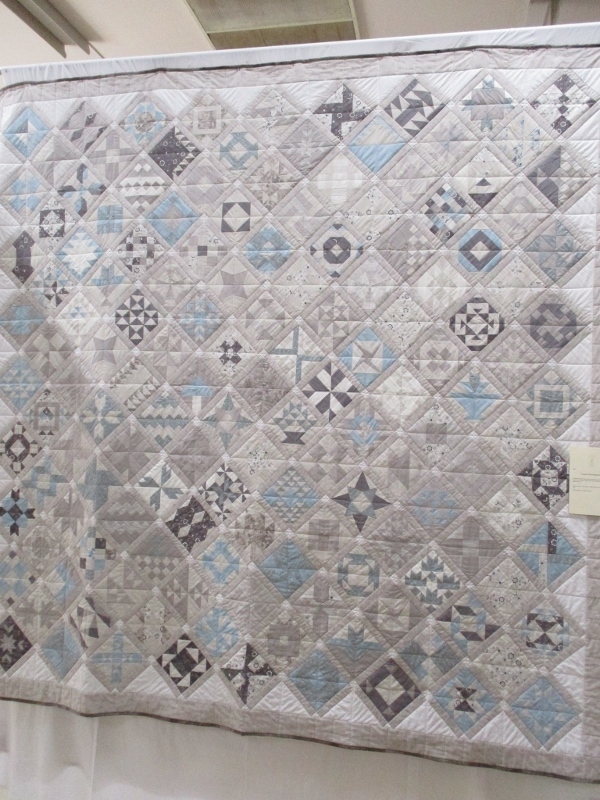 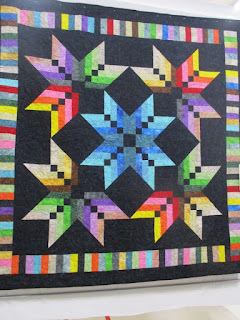 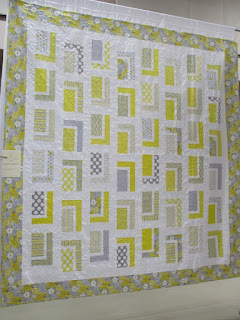 This was one of the first quilts to greet you as you entered. 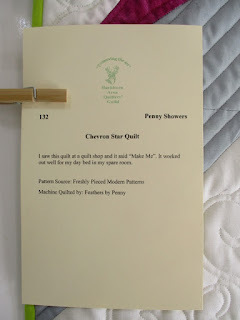 Such a cute name for the quilt. Hand quilted whereas the first one was machine quilted. 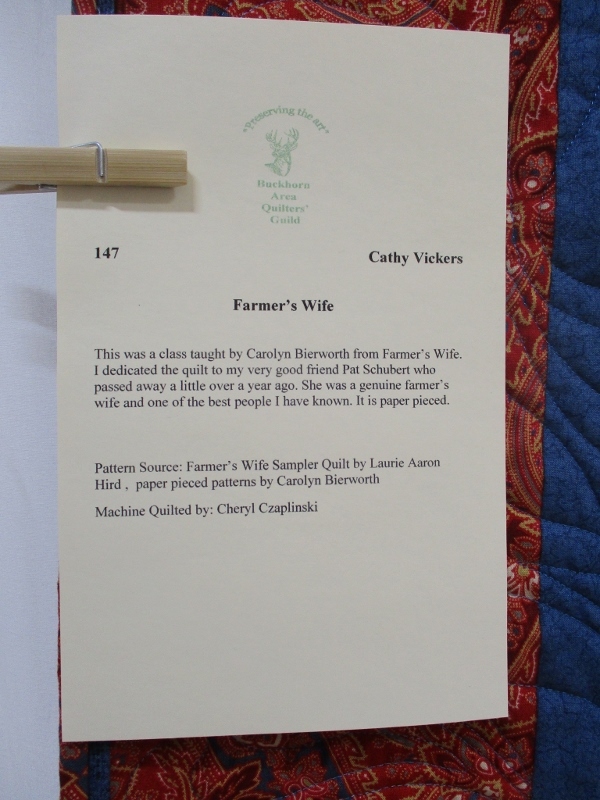 One version of The Farmers Wife. 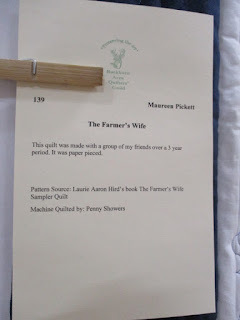 And yet, one more Farmer's Wife. 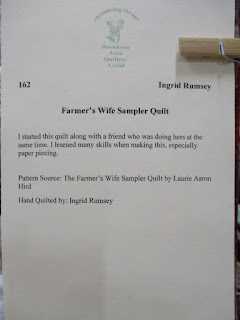 One lady thought that this was an apt title. 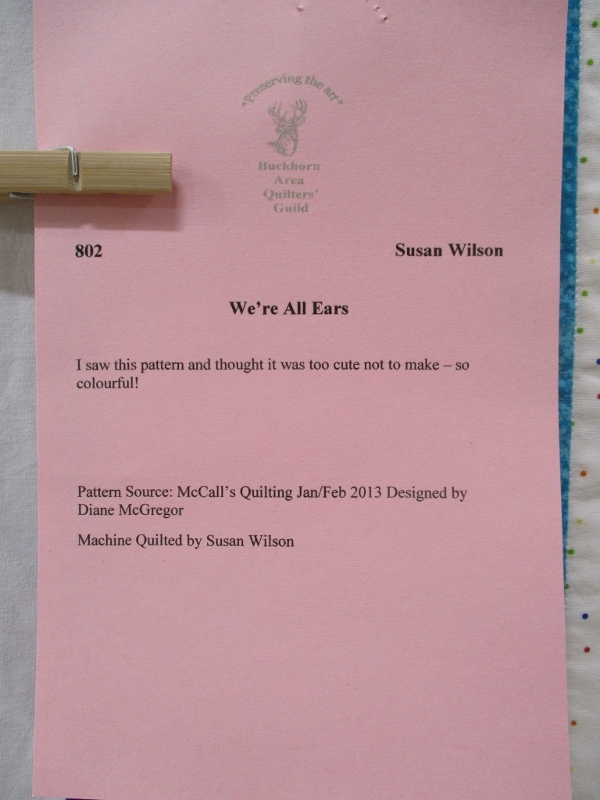 See what I mean about colour? 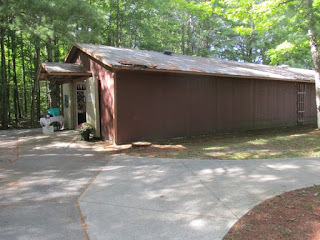 There are a lot more photos but that's it for today. 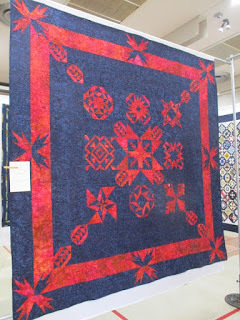 Looks like a great show Dolores. 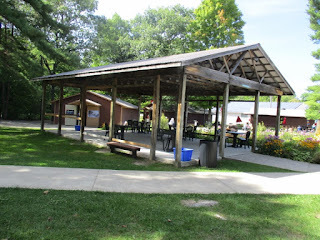 Thank you for sharing your photos. 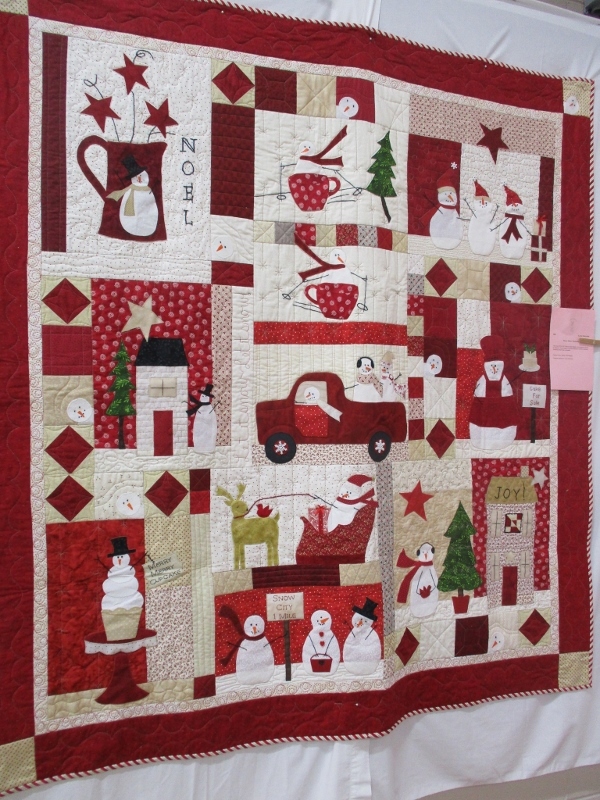 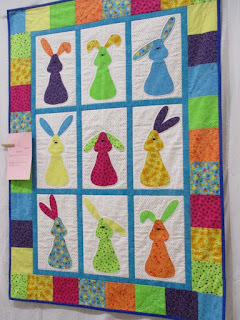 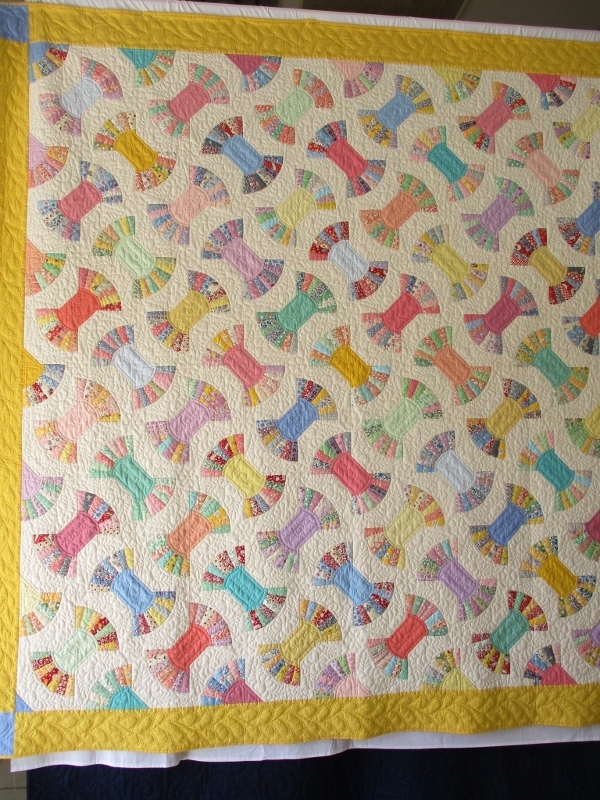 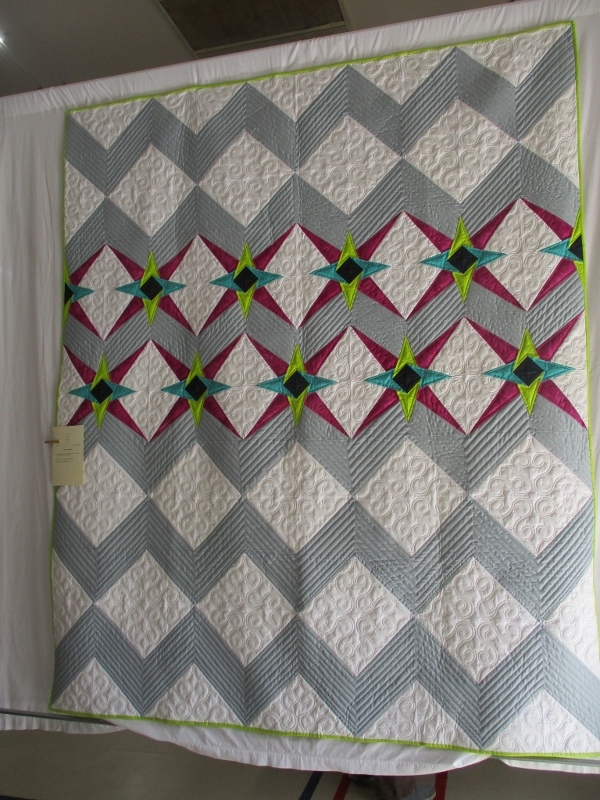 Such talented quilters in your area, Dolores, these are wonderful! 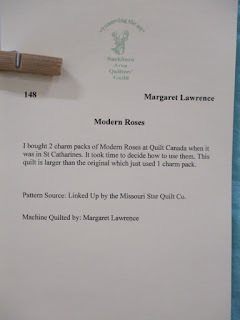 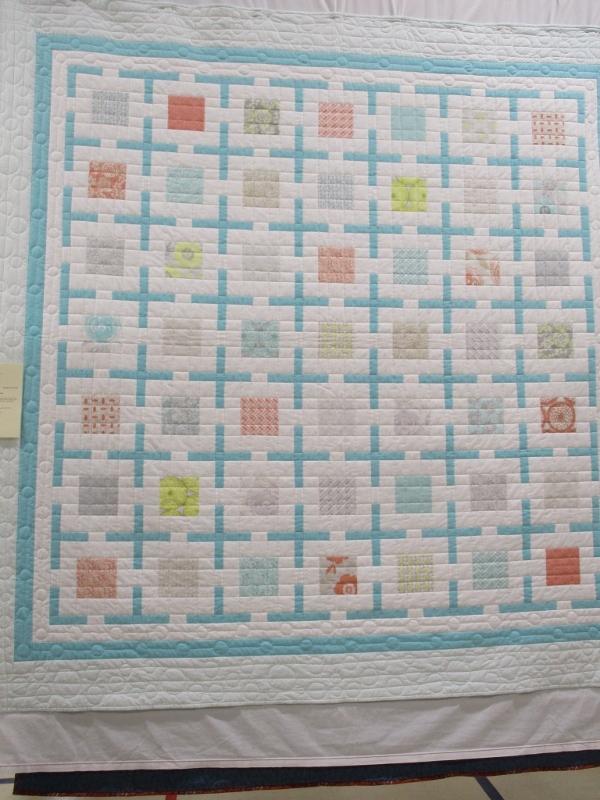 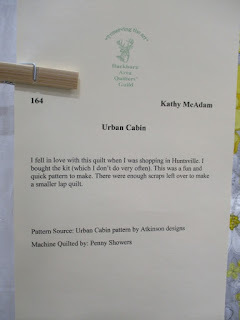 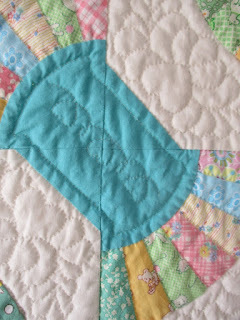 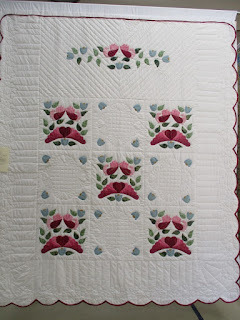 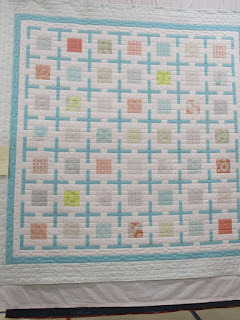 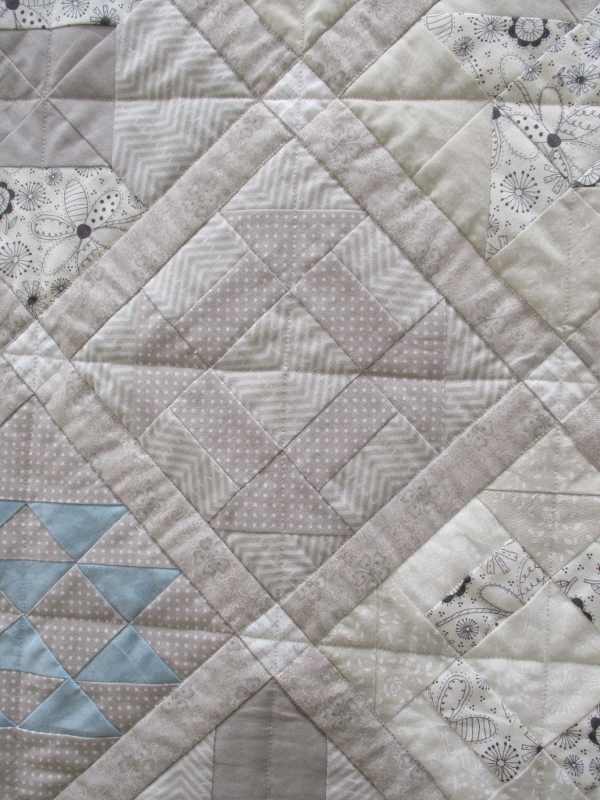 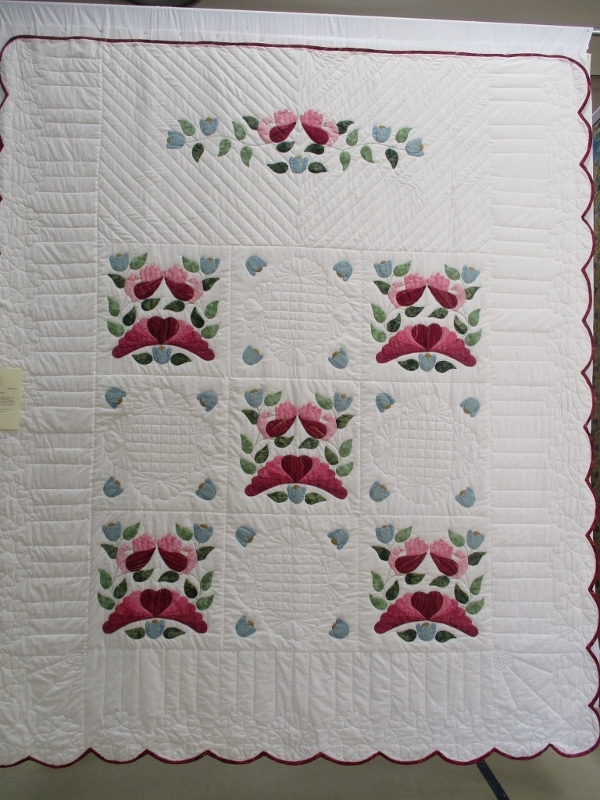 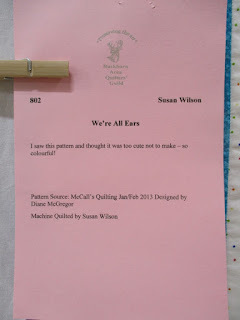 I like how you compare the different quilts and point out things I might not otherwise have noticed. 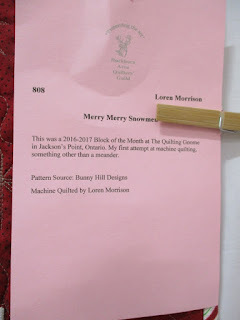 Thank you for taking us along! 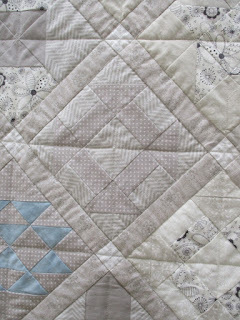 Great blend of modern and old patterns. 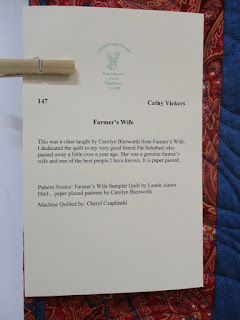 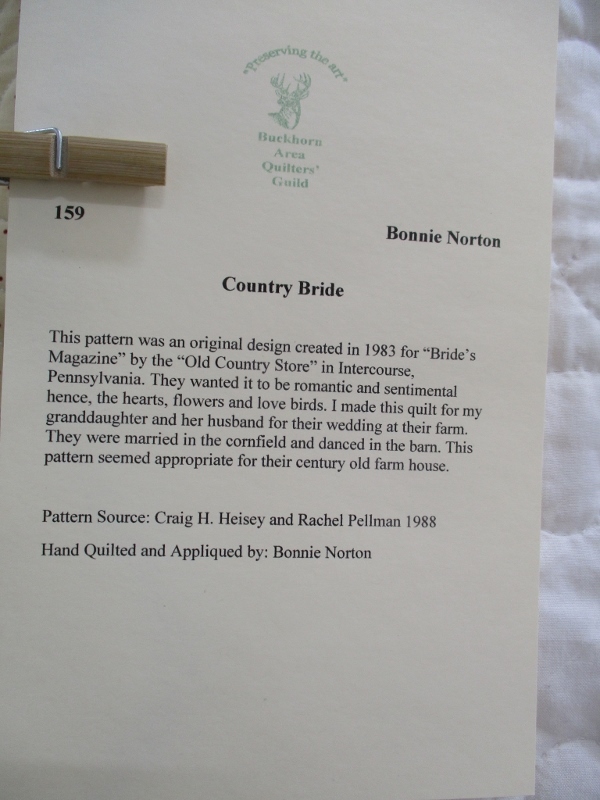 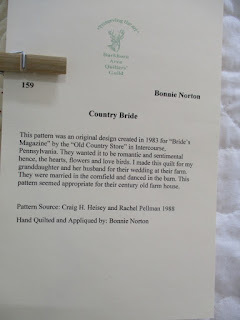 I love all the variations on the Farmers Wife pattern - and can't imagine how tedious it must be to make!! 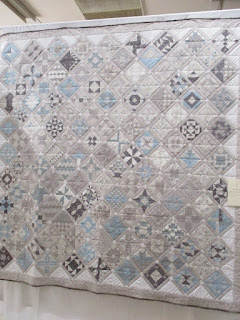 Perfect venue in Buckhorn for a quilt show too.